Posted on September 12, 2011 at 8:30 am. It’s time to slow down. Pick one of the lounge chairs and forget about the time for a moment. As soon as we finished our breakfast at the Mediterranean Breakfast Buffet, I took time to sit down by the pool and enjoy just being there. Like I said earlier, cruise are meant to be enjoyed in a slow steady pace. And that morning before we leave the ship, I took time to just wander around before our 11am checkout from Superstar Virgo. Posted on September 5, 2011 at 8:30 am. I stand in amazement on how steady the ship was as if I’m walking on plain ground. It was my first time to try out a cruise and this Superstar Virgo Ship from Star Cruises is a good introduction. I take my sights out from the sea and look at the people walking around the ship’s upper decks. It was a mixture of people of different age and nationalities. It’s not all for oldies as I thought. We’ll be spending 2 nights here on board. Sailing from Singapore to Port Klang in Malaysia then back. Posted on September 1, 2011 at 10:24 pm. A 360-degree panorama of Singapore’s modern city and nearby land areas of Malaysia and Singapore unfolded in front of our eyes as our capsule steadily soar high up the giant steel wheel known as the Singapore Flyer. Modern skyscrapers spread out like a rise and fall of a 3D chart and portions of some reclaimed areas promised more structures which from the looks of it came from an architect’s sci-fi dreams. It was mid-day but the view was impressive, how much more if it was late afternoon when the city starts to light-up under the twilight cloak. Posted on August 29, 2011 at 8:30 am. “AirPhil Express operates a cruise ship now?” I asked when I got invited to experience their new Fly and Sail AdvenTour Package. 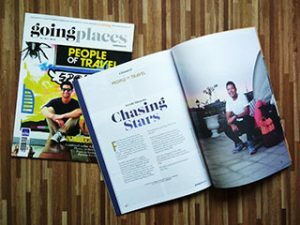 It turns out that AirPhil Express partnered with Star Cruises to create a unique travel package making a cruise escape more affordable to everyone. The idea of having a cruise seems too luxurious and exclusive for the can-afford or post retirement crowd but it turns out it can be for everyone. Since I haven’t tried a cruise before I was happy to join in. So here’s the start of a 4-day adventure with a bunch of media peeps. Posted on May 8, 2010 at 7:15 am. Singapore is one expensive place to travel. Food is like SG$3-10 a pop and there are only a few choices for backpacking accommodations here and it’s not actually cheap. But I do love the ease of their transportation system here that it’s easy to find your way around the small country island by Bus or Train. And for such a small place there’s a hodgepodge of things to do and places to visit, even if they may be artificially constructed or whatever earthly natural attraction is left of the country. Posted on April 23, 2010 at 6:00 am. It was my last day in Singapore and I still have a few hours before our afternoon flight back to Manila. I squeezed in some time to explore more on what time left. Called up my friend there for lunch and we went to Kampong Glam. 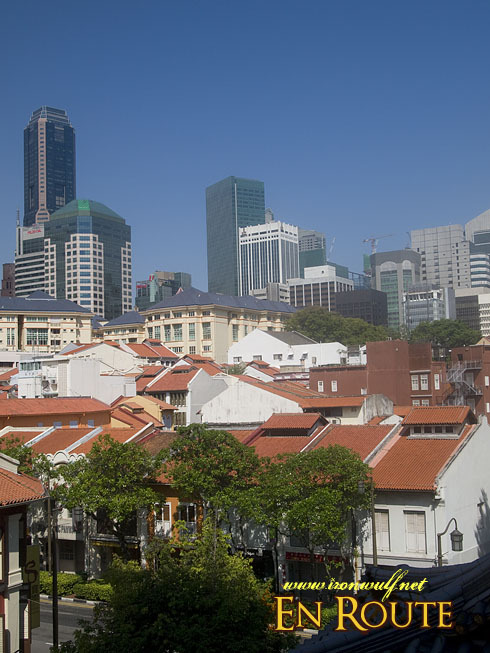 It’s a neighborhood located near Singapore River. Most people know of Little India and Chinatown. 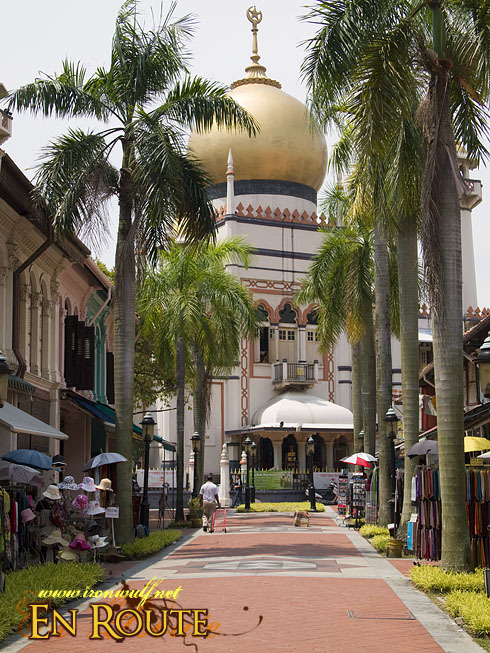 Kampong Glam is considered as the Muslim Quarter with history dating as far back pre-British Colonization.